Hunt Ortmann Palffy Nieves Darling & Mah, INC.
Hunt Ortmann is one of the foremost authorities on California construction law, contracts, dispute resolution and litigation offering additional legal services in the areas of business and commercial law, employment matters and labor law compliance, real estate, insurance and suretyship. The year 2015 marks 25 years of business and success for the firm Hunt Ortmann Palffy Nieves Darling & Mah, Inc. In 1990, the principals of the current firm began operating a construction boutique firm and over the past 25 years, the attorneys and staff of Hunt Ortmann have grown in both size and reputation. Hunt Ortmann has been the foremost authority in California construction law. The firm has a well-known reputation for successfully litigating cases, lecturing on construction law topics, and publishing written materials for industry organizations. Hunt Ortmann specializes in serving the construction industry, including public entities, developers, private owners, and construction companies. Many of its attorneys also have experience as architects, engineers, project managers, and consultants to the construction industry. For over 25 years, Hunt Ortmann has played an active role in the construction industry. Three members of Hunt Ortmann have served as Chairpersons of the Construction Law Subsection of the Los Angeles County Bar. The firm has been a factor in many of the important construction cases in the past several decades and in the drafting of construction and real property related statutes. Since 2008, all of the firm’s principals have been named on the list of construction Super Lawyers, with Dale Ortmann being named as one of the Top 100 Southern California Lawyers. In 2011 and 2013, Gordon Hunt was named the Los Angeles Construction Lawyer of the Year. The Los Angeles County Bar Association has awarded the Acret and Flaig Awards to Mr. Hunt for excellence in the construction law practice. Other attorneys at the firm are current members in the following legal associations: American Bar Association (Business Law Section Co-Chair, Construction Industry, Litigation, and Law Practice Management Subsections), California State Bar Association (Litigation and Real Property Subsections), Los Angeles County Bar Association, Pasadena Bar Association, Beverly Hills Bar Association, Century City Bar Association (Board of Governors), Orange County Bar Association, Orange County Hispanic Bar Association, Association of Business Trial Lawyers, Women Lawyers Association of Los Angeles, National Hispanic Bar Association, and Southern California Chinese Lawyers Association. 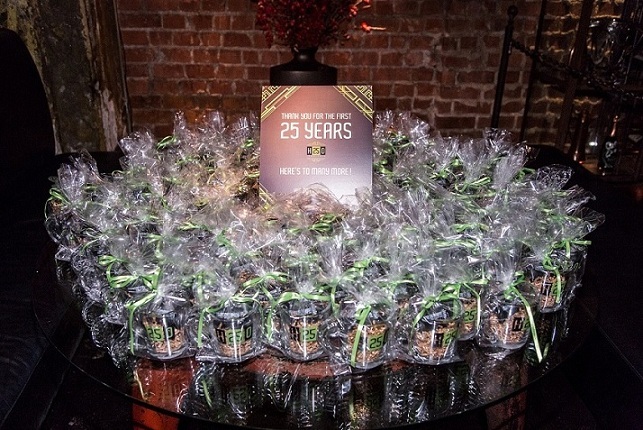 To celebrate the accomplishment of 25 years of business, Hunt Ortmann invited its clients and friends to celebrate at The Edison, in Downtown Los Angeles. It was a truly memorable night and you can see the pictures from the event by clicking on the picture below. 2007-2018, All Rights Reserved, Hunt Ortmann Palffy Nieves Darling & Mah, Inc.